You’ve got two lenses. 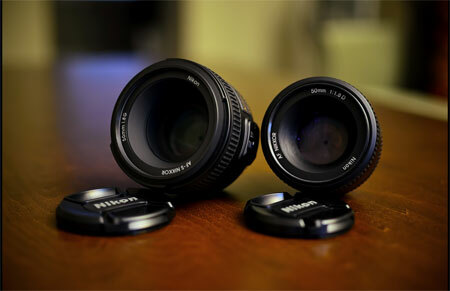 One of them is a 70mm lens that does not zoom (called a Prime Lens), and another is a 70mm to 200mm zoom lens. If you were to take two photos, each with one of the different lenses, which photo would have the best picture quality? Will it be the single focal length lens, or will it be the zoom lens? More importantly, will you actually notice the difference, or will it amount to a few tiny distortions that barely make it to frame? That’s the mystery we’re going to untangle today. First things first. 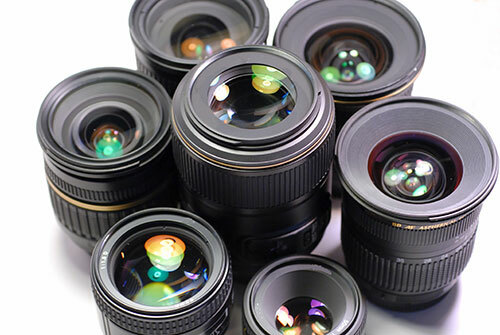 Every lens has its own design. Even though a 70mm to 200mm lens covers the 70mm focal point, it might not do so in the exact same way a fixed focal length 70mm lens does. To get a lens to zoom, you need to add an extra moving part known as the afocal zoom system. This is a separate lens that moves along a track, changing the focal length as you twist the outside of your lens assembly. 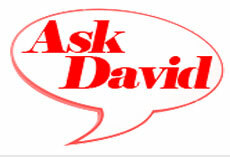 Any engineer will tell you that when something is more simple, it tends to serve its purpose better. The same principle, in part, applies to zoom lenses. 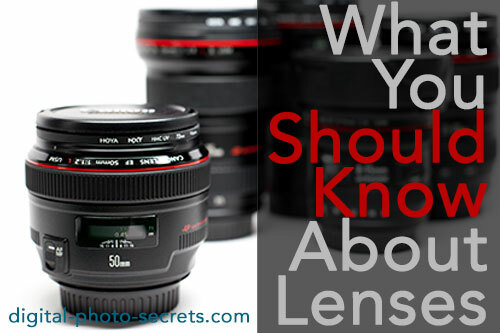 Very simply put, zoom lenses have a lot more moving parts than fixed length lenses. That means they are more susceptible to lens distortions. Chromatic aberration. 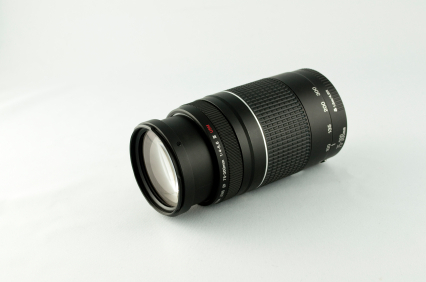 A common problem among zoom lenses. One of these distortions is known as “chromatic aberration.” It’s what happens when the colors from the scene you are shooting no longer line up on your camera’s image sensor. The colors themselves might be off by a hair, but that tiny difference can result in odd looking color fringes on the edges of the subjects you are shooting. Have a look at this photo. Do you see the coloring along the edges? Every lens produces a different amount of distortion. You sometimes need to magnify your view to see it. Keep this in mind whenever you are testing one lens against another. 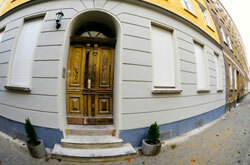 Barrel distortion happens on all wide angle lenses, but it’s even more pronounced at the wide end of a zoom lens. Have a look at this obviously distorted image. Imagine that there is a barrel behind the image, pushing the door in front of you. You could also imagine that the image is wrapped around the outside of a barrel, and I think you’d get the same idea. That’s why it’s called barrel distortion. The picture looks like it’s stretched around a barrel. 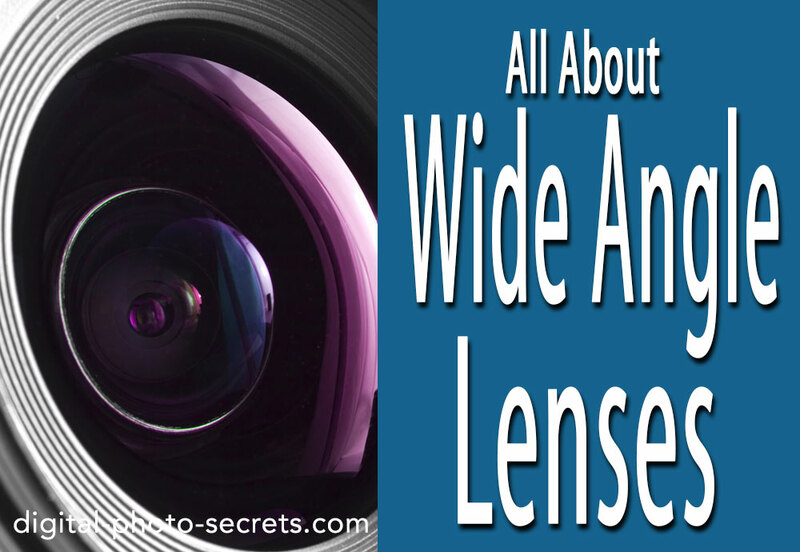 Most wide angle lenses have some amount of barrel distortion, but wide angle zooms have even more barrel distortion than wide angle fixed focal length (prime) lenses. Depending on your taste, this could be a good or a bad thing. Barrel distortion is often used as an artistic effect, so it’s sometimes quite welcome. Just like barrel distortion, you need to imagine that there is a pin cushion behind the image. Distortion of this sort tends to become more pronounced when you take pictures of buildings. We humans expect the lines in a building to be straight, so even the smallest curvature is quite noticeable. 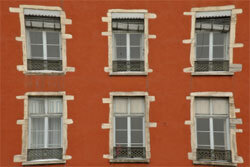 The windows in the below shot have a pronounced pincushion effect because the edges curve inwards. A fixed lens set at 200mm will automatically have less pin cushion distortion than a zoom lens that covers the range between 70mm to 200mm. Once again, this comes back to the lack of extra moving parts in a fixed focal length the lens. Because the light doesn’t have to pass through a second adjustment lens, it renders the scene more accurately. There’s a reason professional photographers are willing to spend as much as $1,500 on a zoom lens. They’re doing it because it gives them the best of both worlds. Higher end zooms take distortion and chromatic aberration into account. 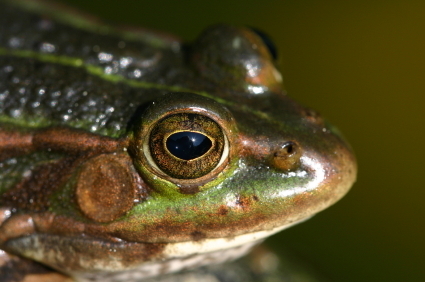 Some of them do this through a special lens shaping process that corrects tiny changes as the lens zooms in or out. How Much Does the Distortion Matter? It all depends on your goals as a photographer. I would never tell a beginning photographer to purchase an expensive lens just because it has less distortion. I also wouldn’t tell someone who wants a big range of focal lengths to buy prime lenses for the same reason. Versatility is really awesome, and most distortion can be fixed in post-production with Photoshop techniques (look for the Lens Correction feature). Having said that, if you want to be known as an architecture photographer, you won’t last very long in the business if all of your images have barrel or pincushion distortion. The same goes if you really like to incorporate straight lines and patterns into your images. The more the human mind expects a line to be straight, the more disappointed you will be when you see curves on your finished images. 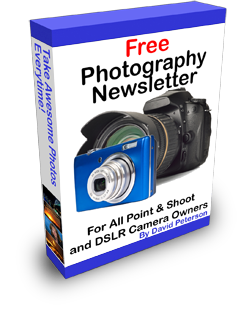 Most photographers start out with a standard zoom lens, and they allow their photographic interests to dictate the equipment they end up purchasing. You never know where photography will take you. You might end up loving architecture for one reason or another, and the day will come when you know you need to get a few fixed focal length lenses to do your work. A big decision like this can wait. I said earlier that zoom lenses produce most of their distortion at the wide and telephoto ends. That’s the 70mm and 200mm ends in our example. But guess what? Most zooms have a distortion-free zone in the middle of their range. In this case, that’s somewhere around 135mm. If you were to zoom to 135mm with this lens, straight lines would be straight, and you would find the smallest amount of chromatic aberration. 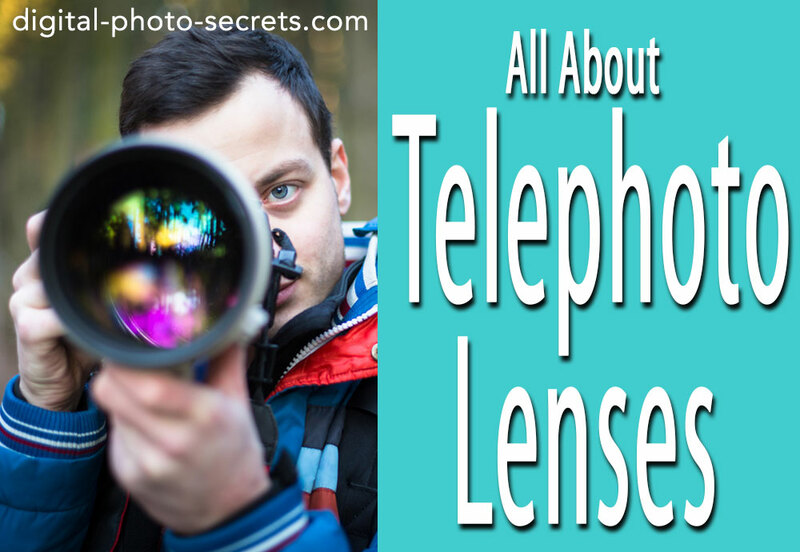 For all intents and purposes, your lens would function like a fixed length lens at 135mm. It’s important to remember your distortion-free zone. Not only will it guide when you are out in the field, it can help you make some important purchasing decisions later on. 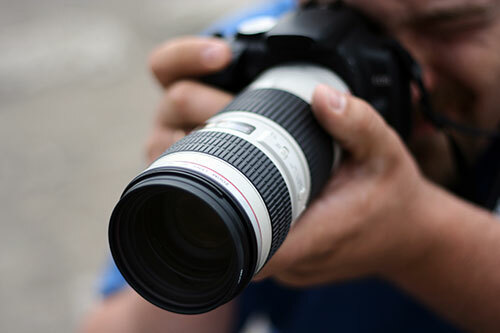 Since you know that your zoom lens distorts at 70mm and 200mm, if you were to purchase extra lenses, it would be a good idea to buy a 70mm or a 200mm fixed focal length lens. You wouldn’t need to get a 135mm lens because you already have one. That’s your distortion-free zone. As a final note, whenever you aren’t sure about distortion or chromatic aberration, take the time to read a few lens reviews. The people who write reviews put lenses through a battery of optical tests, taking pictures of straight lines and mathematically plotting distortion as well as chromatic aberration. In less than 15 minutes, you’ll know exactly what you’re about to purchase. Now that I’ve ruined you, you’ll start seeing these distortions in all kinds of pictures. That’s a double-edged sword. Always compliment any pictures your friends take, and then silently resolve to follow my distortion-reducing techniques. The buildings will thank you for it. Pixel peepers tend to forget that a photo is about context. A photo is a slice of time where photons stood still and an image was captured. Nothing is ever "perfect" when striving to better oneself as the artist (imperfect lenses cameras etc). no quite sure if human mind will be disappointed seeing curved lines on something that is meant to be straight, if anything the opposite. i believe that the curved lines can really make someone stop and really look at the picture. depending on what you are shooting for, the curved windows can really put an artistic edge to the photo. if the effect is not over used it can come out much better than a flat picture. 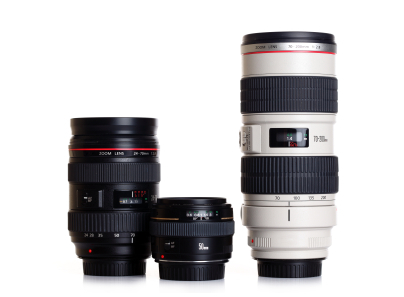 While prime lenses do have a wider aperture than zoom lenses, they do not have a constant aperture that can't change. Prime lenses are constant aperture. Not non zoom. As a retired professional photographer I have heard a number of experts on lenses says that quality zoom lenses will resolve more lines than the film/pixel is capable of handling. "Quality" is the key here! This "was" about right, but the thing is that digital sensors are evolutioning faster than anything this years, so even a "quality" lens from 2010 and back are getting behind already! Thats why lens manufactureres are coming out with a second iteration of their top notch lenses, that are able to keep up with new cameras. I can only speak for canon though, the 70-200 L 2.8 IS II, and the 24-70mm L 2.8 II, are some of these "second iterations), Nikon and other manufacturers has also upgraded their lenses, this last couple of years. And as a owner of the newest 70-200 I mentioned, and the old 24-70, I hope I can upgrade to the newest 24-70 as well in the near future.